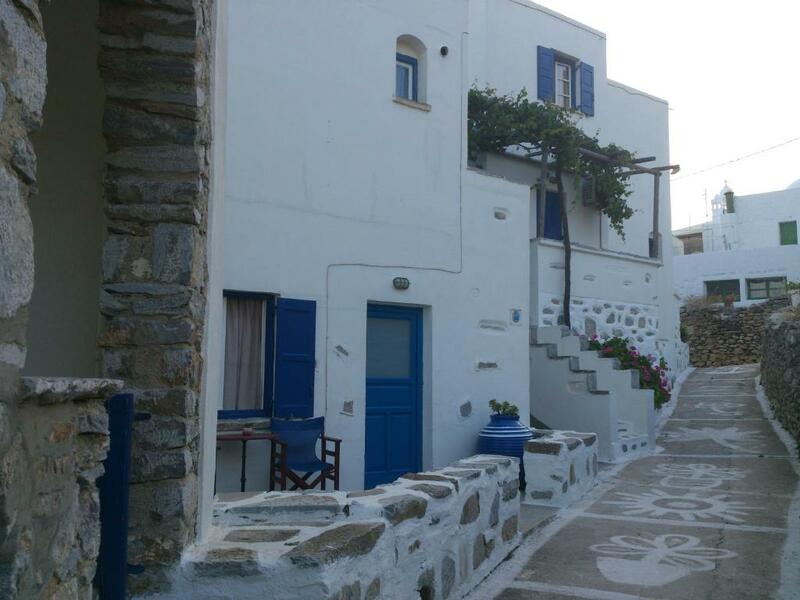 Location is perfect, right in the center or Chora. 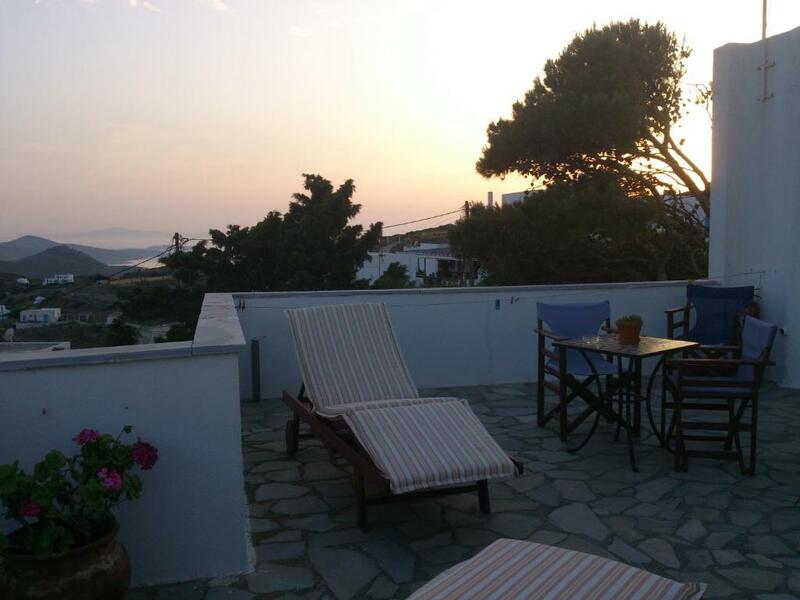 I actually stayed at Villa Halkios because there was some issue with Pension Ilias. I'm glad the change was made. 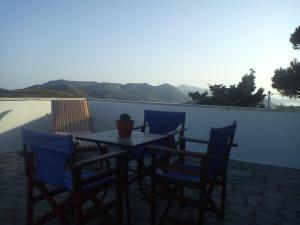 Very good location in Hora, yet very quiet. Clean rooms, lovely terrace, nice staff. We were very satisfied with this choice and can highly recommend. Owners are friendly and kindly picked us up from the port at 2am. We had a great stay at Pension Ilias. The location just couldn‘t be better and the view from our balcony was breathtaking. From our room we could easily walk to the Hozoviotissa monastery and the Agia Ana beach. The restaurants near Pension Ilias are so good, especially ‚Transistorski‘. The room itself was very spacious, comfortable and had a cute decoration. A big plus was the free transfer from the harbour and back. Also the host was very sympathetic and friendly. We would defintely come back! Il paesino di Chora è bellissimo. Struttura centrale e ottima per una notte! 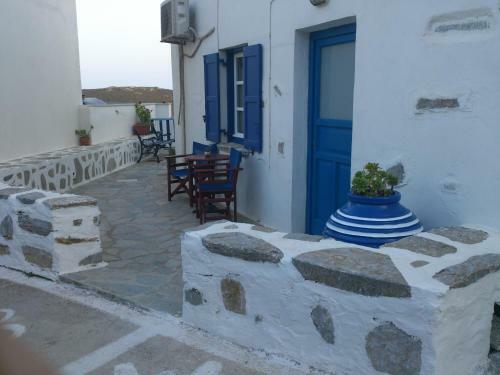 Centrally located in scenic Amorgos Town, the Cycladic-style Pension Ilias consists of 2 buildings and features air-conditioned accommodations with balcony overlooking the town or the mountains. Guests are offered free Wi-Fi and free 2-way transfer from Katapola Port. 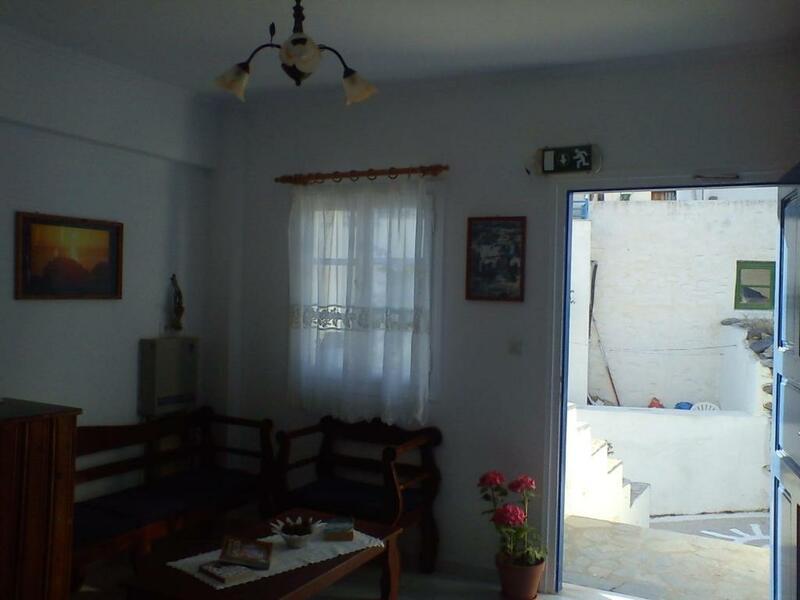 A TV and fridge are included in all accommodations types at the Pension Ilias. Some units feature a separate bedroom and a kitchenette with coffee maker, oven and electric kettle. The famous Monastery of Hozoviotissa is 0.9 mi away. Agia Anna Beach is at 1.9 mi. Katapola Port is within 3.7 mi. Parking is possible nearby. 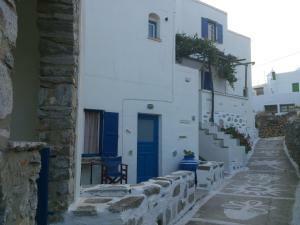 When would you like to stay at Pension Ilias? 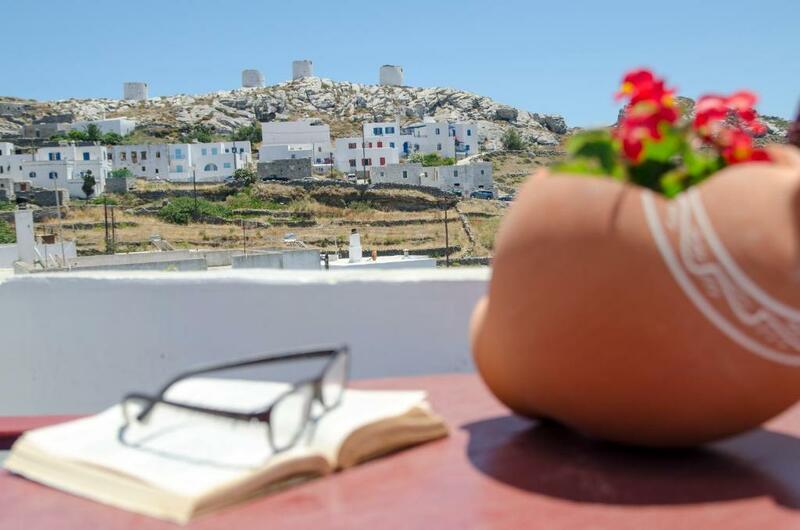 Centrally located in Amorgos Town this air-conditioned room has free Wi-Fi and a balcony overlooking the picturesque Chora or the Southern part of Amorgos. Includes fridge and TV. -a computer, free WiFi and TV. Double studio with kitchen, air conditioning and TV. 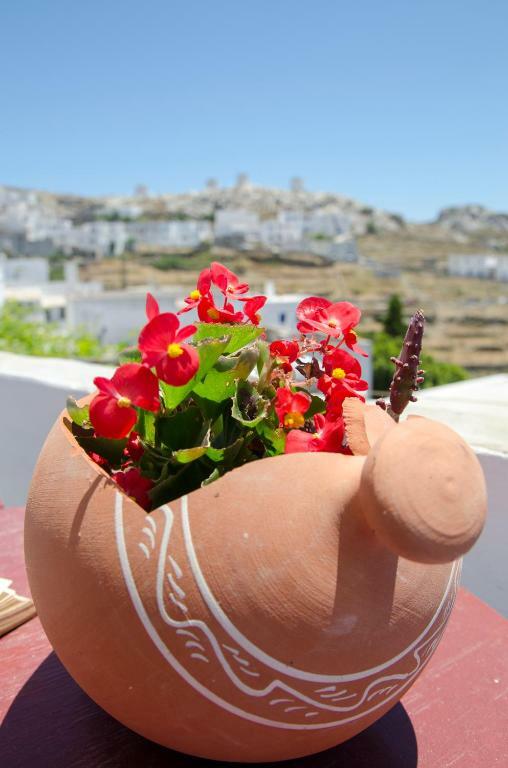 Its balcony offers a view of the picturesque Chora and it also has access to a terrace which overlooks the southern part of the island. Please note that this studio is located in a different building. Centrally located in Amorgos Town this air-conditioned apartment has a separate bedroom and a balcony overlooking the town or the mountains. This room comes with a TV and a kitchenette with mini fridge and cooking hobs. 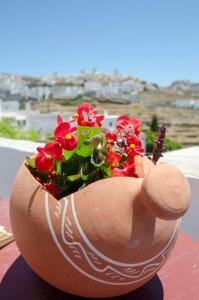 It opens to a balcony with views of Chora of Amorgos. Free WiFi is provided. House Rules Pension Ilias takes special requests – add in the next step! Pension Ilias accepts these cards and reserves the right to temporarily hold an amount prior to arrival. 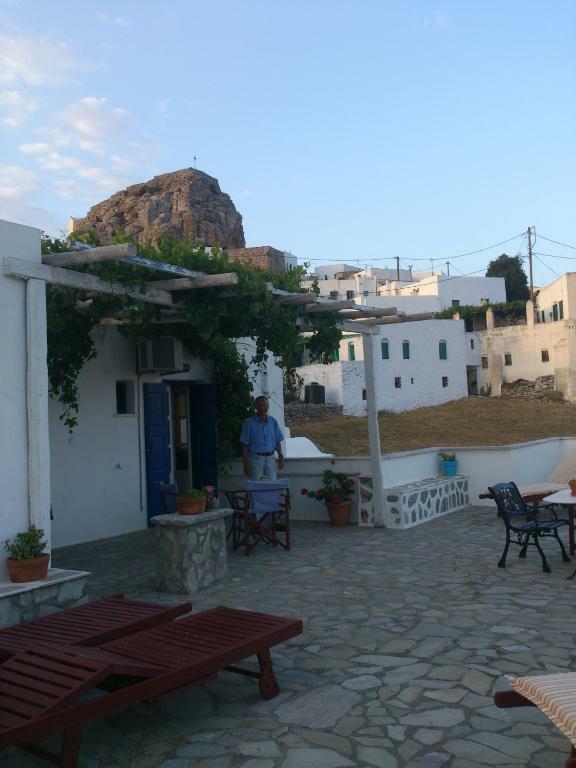 Please contact Pension Ilias and inform the staff about your expected arrival time. Cleaningness needs improvement. The walls are too thin so you hear every single noise coming from the surrounding rooms of the pension. It was hard to sleep with all that noise and kind of awkard too. The bed matress was really old and unconfortable. 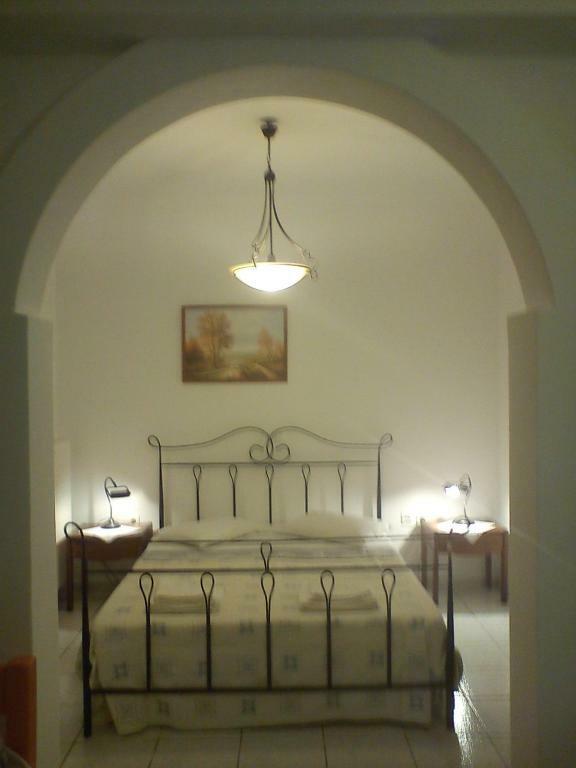 Unfortunatelly Chora doesn't offer a lot of accommodation options so the service has remained basic. 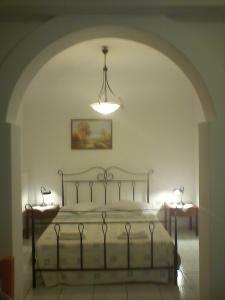 I visited the pension with my partner and we had separate beds. Not so efficient in costumers’ requests. No hot water in the shower. A minor problem for me. Location was good. Stunning views. Everything was in bad condition. AC was not working. We booked a 'double room with balcony' as opposed to just a double room. The balcony turned out to be a tiny triangular shape, barely room for 2 people. Also it was so close and level to the main road it just left us feeling exposed. It turns out those simply labelled double rooms have far bigger balconies and as some of these were empty when we stayed we were disappointed to have been given a room with such a tiny outdoor space. Also there was a 2nd bed squeezed into the room making it difficult to walk around the room.